Today's SBBC challenge urges me to consider the 10 things I would take to a desert island were I only allowed to take ten pieces. I thought long and hard about this one- taking into account factors like SPF, products that wouldn't melt in the heat or dry up in the desert sun- and it all got very complicated. So I am going to amend this ever so slightly (it's ok. Girl Fridays allows us to do that!) and I am going to list the ten things that I would repurchase if I lost every scrap of makeup that I own in an earthquake. I use the shade Cool Bone and I have been obsessed with this foundation since I got it. It gives amazing full coverage but it feels so nice on the skin. I love the colour match, it suits my pale and not my tanned self perfectly. I hate that it doesn't come with a pump so I would probably have to buy one of those also but that's more of a tool and not a makeup item, right?! Either way, this is my top foundation at the mo and the one I would repurchase next. This budget buy concealer has been a real find for me, and I have already got a back up on the go because I have made a fairly sizeable dent in the first one I bought just a few weeks ago. I love the coverage and consistency of this, you have to work quickly to blend it where you want because I find it does set very quickly on the skin but this is a great concealer for undereyes, blemishes, redness around my nose, etc. Absolute steal at €4.49 so raid your local pharmacies ladies! My setting powder of choice at the moment, I love this stuff, and I cannot account for how many I have gotten through in the last four or five years. The coverage is excellent, and surprisingly, this is not at all cakey, even on top of full coverage foundations. I've tried so many powders looking for cheaper alternatives but I always come back to this one! I have spoken about my lust for this blush before many a time. I love lots of blushes, but if my makeup collection was wiped out, I would definitely go back for this one first. It is such a great multitasker- it goes with any skin tone, any makeup look and it is such a beautiful, girly, natural colour. I couldn't not have this in my collection anymore. I would choose this for my highlight because it is just the right amount of shimmer for my liking- not chunky, not glittery, just a beautiful candlelit sheen across the high points of your face. I also use this to highlight under my brows, and I am sure it could double up as eyeshadow if the need so arises. 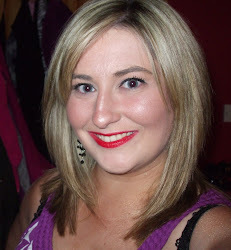 Another favourite of mine, and this time it is my favourite contouring product. This bronzer is an absolute dream to use and has made contouring a dream. It also seems to be lasting me forever so I reckon it's also an investment piece. I couldn't imagine contouring without this now. Again, I have mentioned this on the blog and needless to say, I am still obsessed with this mascara. The shape of the wand and the way it catches every single one of my lashes, coats it in black loveliness and leaves my eyelashes looking full and long and curly. I don't know why this mascara doesn't get as much hype as it deserves but it is a definite winner in my eyes. For the sheer volume of looks that you can get from this palette alone, this has to be included. I wear neutral eyeshadows every day of the week and if it's not neutral, it'll be grey. The first Urban Decay Naked Palette is my most used and only repurchased eyeshadow palette EVER to date, so I would have no qualms in repurchasing it again. I use every single colour (the same cannot be said for all my palettes). 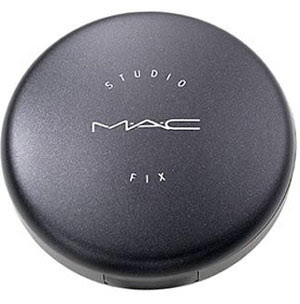 This is a staple in any make-up addict's armoire! Picking out one lip product was a challenge but I went for the most wearable and flattering pink that I have, and that is Honey by Revlon. I own all of the Balm Stains that we can get on this side of the pond but this one is my favourite. I love the minty sensation on my lips, it lasts for ages and leaves a nice stain on the lips. Now some might say that this is cheating, but I do not agree. Just because you get 15 brushes in this set, it's still just the one set that you buy! I love Blank Canvas Cosmetics brushes so this would cover all my bases. Those are my top 10 repurchases. How do you think I did? I liked the Catrice concealer for general spots, but I found it did nothing for my undereye circles, but otherwise a fab find! I someday have to purchase one of the shimmer bricks, they're so darn pretty! !